Herpes symptoms outbreaks, often referred to as cold sores or fever blisters, are caused by the herpes simplex type 1 virus, which is contracted by 90 percent of adults by age 50. Many people who carry HSV-1 do not exhibit any symptoms, however for some, symptoms can be severe and may require treatment. Additionally, lidocaine, benzocaine or other topical anesthetics can provide short-term pain relief for the most severe cold sore outbreaks. Creams, such as over-the-counter Abreva, and prescription topical acyclovir and penciclovir may also be used to decrease the duration of cold sores. What is the Cause of Herpes Symptoms Virus? Direct oral contact with the virus is necessary to contract it, as herpes cannot survive long on inanimate objects, such as shared cups, straws or lipstick. Although herpes is known for being a sexually transmitted infection, many people who have oral herpes contracted it from being kissed by someone carrying the virus who may not have shown any symptoms, as symptoms do not have to be present to spread the oral herpes virus. After the herpes virus is contracted, some patients never exhibit symptoms, while others exhibit symptoms so mild they do not recognize them as cold sore virus symptoms. However, many patients experience moderate to several cold sore outbreaks that are unsightly and may result in weeks of facial disfigurement. Before a cold sore occurs, pain or tingling in the lip or lip border will occur. This is known as the prodrome phase and typically lasts for one to two days, after which time, cold sore blisters form and last for one to two weeks. Cold sore blisters are usually painful and appear red, raised and fluid-filled on your upper or lower lip. Eventually, blisters pop, ooze, then crust over and flake off before they completely disappear. Fatigue, stress, UV exposure and illnesses that weaken the immune system are some of the most common triggers of a cold sore outbreak. Laser skin resurfacing, particularly aggressive treatments near the mouth, may also trigger herpes outbreaks, so it is important to let your dermatologist know if you are prone to cold sores prior to undergoing laser treatment. 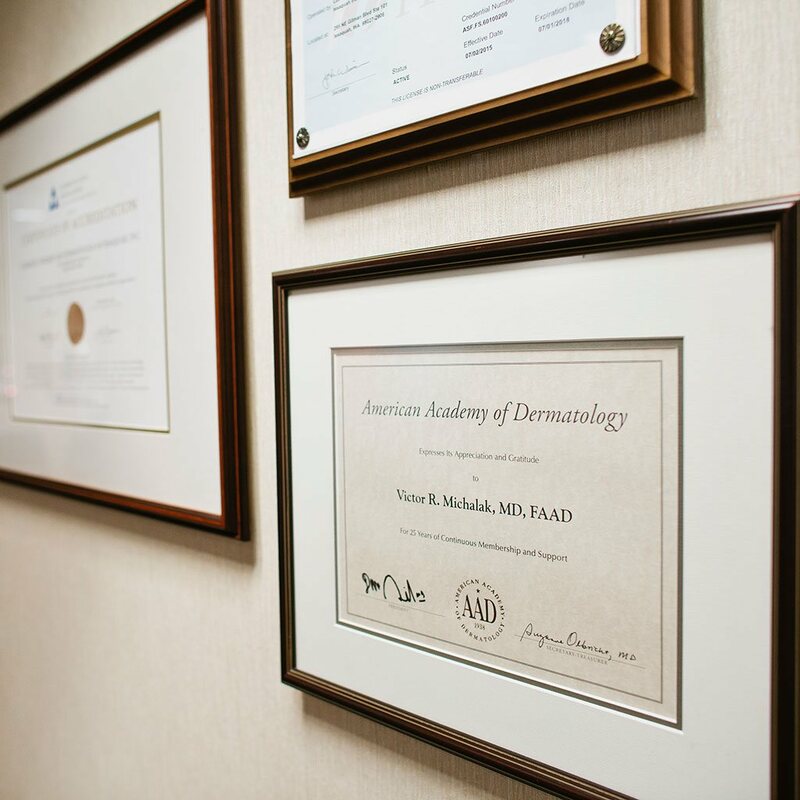 To learn more about available treatment options from a dermatologist, contact the Issaquah office of Dr. Michalak. Please dial 425-391-2500.